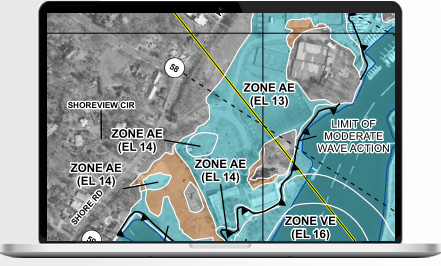 Have a FEMA Map Specialist review your zone. Are you in a Flood Zone? 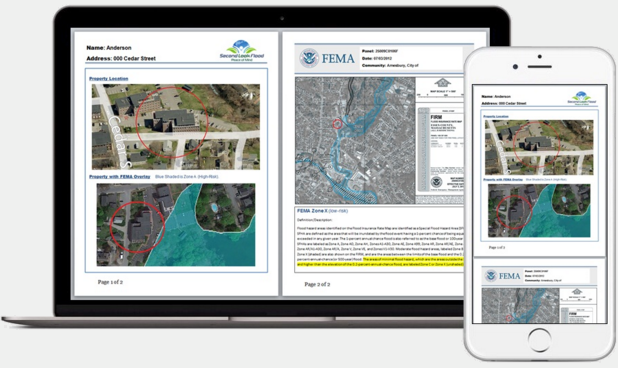 Now it’s quick and easy to order your own detailed Flood Zone Report. See your home on the current FEMA Flood Map. Each property is manually researched by an experienced Map Analyst or Certified Floodplain Manager. It’s more accurate than the split-second computer generated Flood Determination from your mortgage company. If the Report reveals the home (or structure) outside a FEMA high-risk flood zone, the homeowner can use the information to dispute the mandatory flood insurance requirement. Simply forward the information to the lender or insurance company. 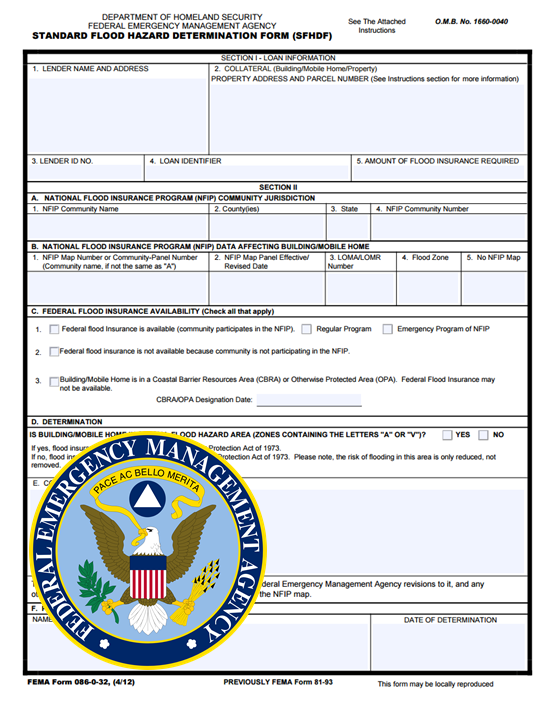 The FEMA Flood Hazard Determination Form is used by Federally regulated lending institutions when making, increasing, extending, renewing or purchasing a loan for the purpose of determining whether flood insurance is required. The form may also be used by insurance agents, property owner, realtors and community officials for flood insurance related activities and flood zone documentation. Some lenders will refer to this form as a Flood Cert. A flood map specialist and/or a certified floodplain manager will manually research each property ensuring unmatched accuracy.